Slim silhouettes abound for SS16. Narrow jackets and tailored pants strutted up and down the runways of last month's Pitti Uomo. 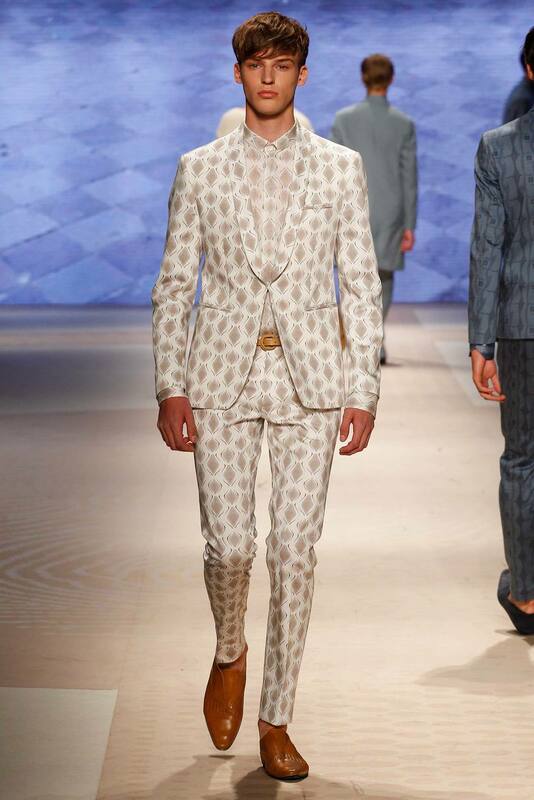 Whether paisley, camouflage or knitted this is the shape for Spring 2016. Not since Beau Brummell has a tailored suit looked so sharp.